The Warner Bros. Studio Tour in Hollywood offers a real insight into the making of the movies. Most impressive of all is the chance to tour the ‘backlots’ and learn about the hundreds of movies made here. 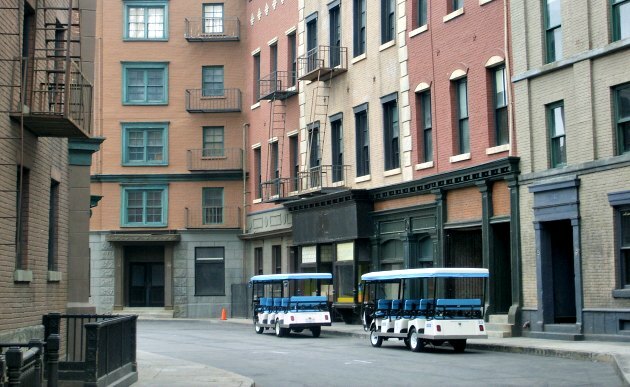 They have every kind of street scene you can imagine and your tour is taken in special electric carts. Every so often you can get out for photos or to learn about what each street scene has been used for. 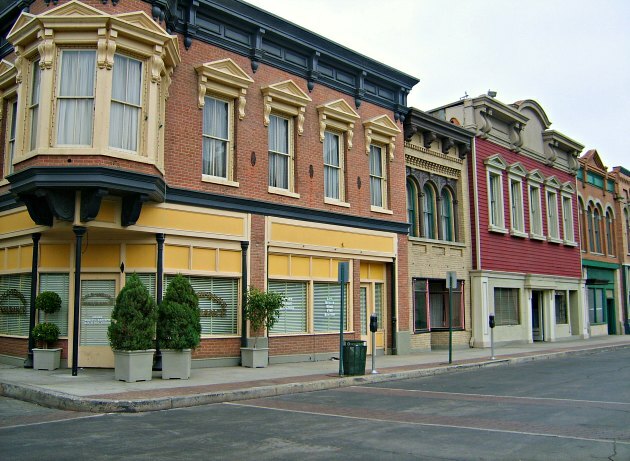 It’s amazing to think that these realistic looking streets are just temporary frontages made mainly from wood. There are an number of other treats in store on the Warner Bros Tour. 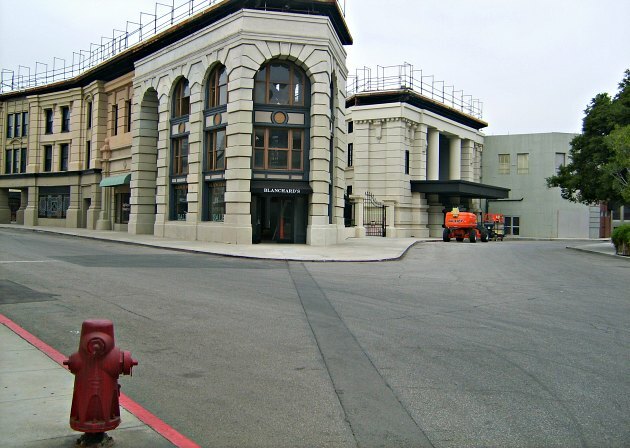 You will pop into one of the huge sound stages where indoor sets are built. You will visit ‘The Archive’ which is a two-floor exhibition of props and memorabilia. You also see the site’s collection of cars used in the movies and there’s also Stage 48: Script To Screen which is an interactive exhibit which shows you how technology is used to make movies. 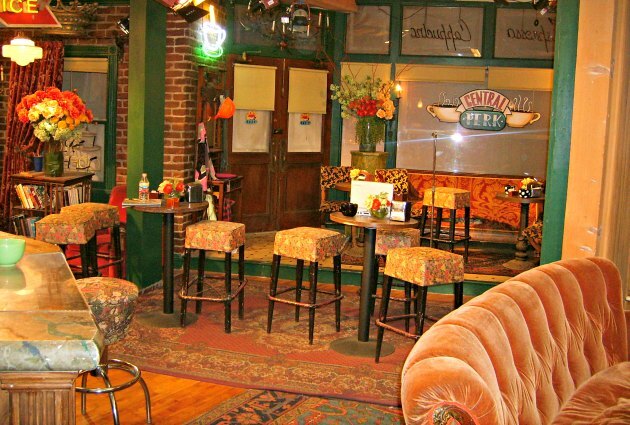 One other “show piece” on the Warner Brothers tour is seeing the original Central Perk set from the TV series “Friends”. This is housed in an enclosed room and is laid out exactly as it was in the show. Prepare yourself for how tiny it is though! In our opinion, this is the best genuine studio tour you can do. No roller-coasters, just your chance to go behind-the-scenes at a working movie studio. Warner Bros Studio Tour Hollywood Tickets. The tour car park is at 3400 Warner Blvd, Burbank, CA 91505. Follow the signs from Warner Boulevard.